We love the Grand Balcon Sud hike. 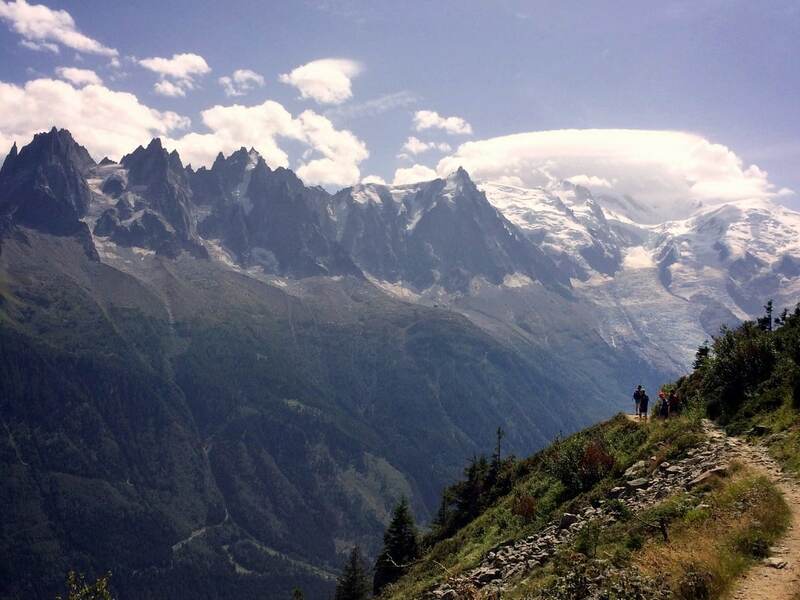 This is a spectacular hike thanks to the presence of Western Europe’s highest mountain: Mont Blanc. 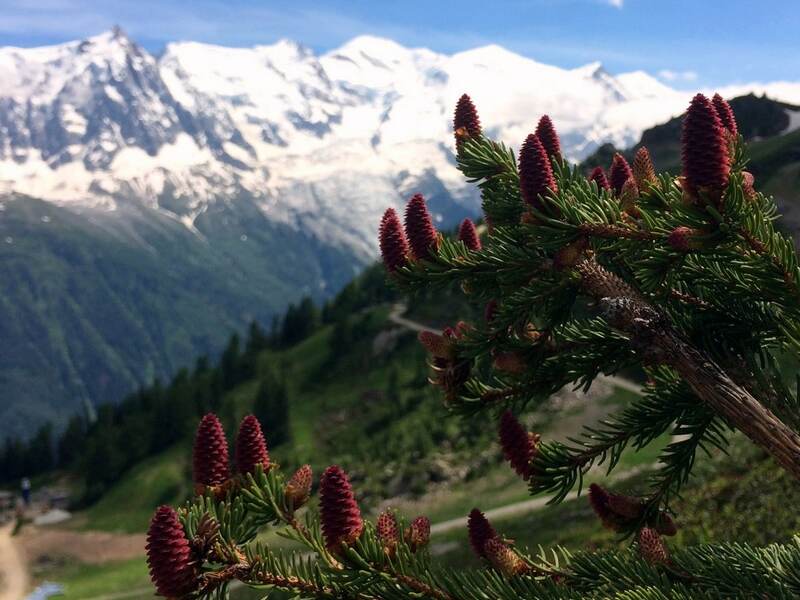 Hike along wooded ravines, high meadows, and wide rocky expanses, finishing up directly in front of Mont Blanc. 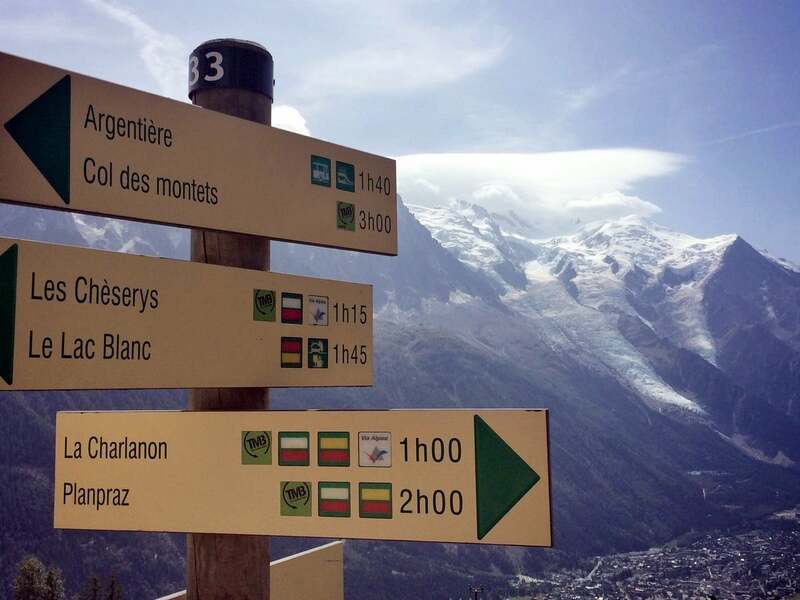 Buses run from all parts of Chamonix to Les Praz, and all of them stop at the Flégère lift. Trains also run to Les Praz - exit the station and you’ll see the church. The cable car is opposite the church entrance. Take the Flégère cable car to the mid-station. While there is free parking at the Flégère lift and paid parking at Brevent, it’s generally easier to use public transport for this walk. As you exit the cable car, you’ll see a sign in front of you pointing the way to the various paths. Follow the sign for your destination: “PlanPraz”. 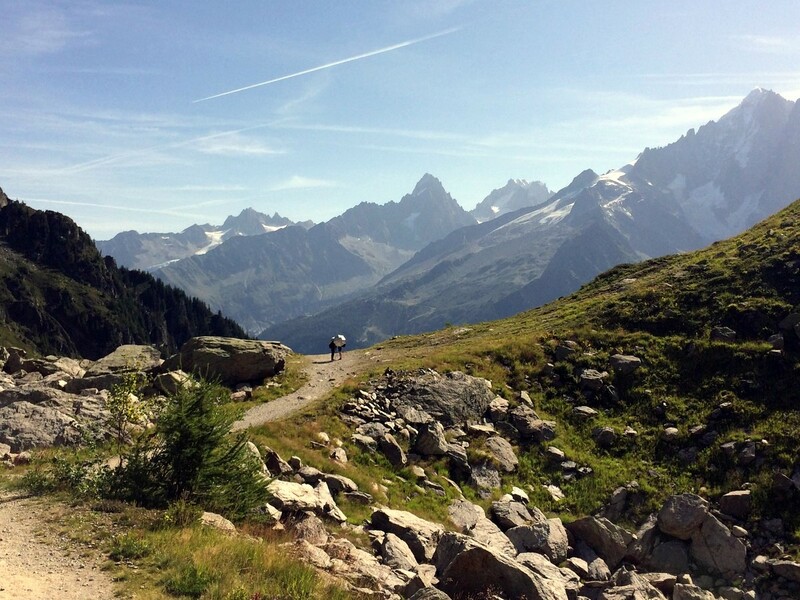 Turn right and the path takes you past the Flégère refuge and below the cable car, heading towards Mont Blanc. As you leave the station infrastructure behind, the first section winds through pine trees and a mix of juniper, myrtille and wild rhododendron. The Grand Balcon Sud is one of those paths that is a true joy to hike on. The trail twists through the rocks along the side of the mountain, revealing new and beautiful vistas at every turn, sometimes framed prettily with trees, sometimes open and expansive. 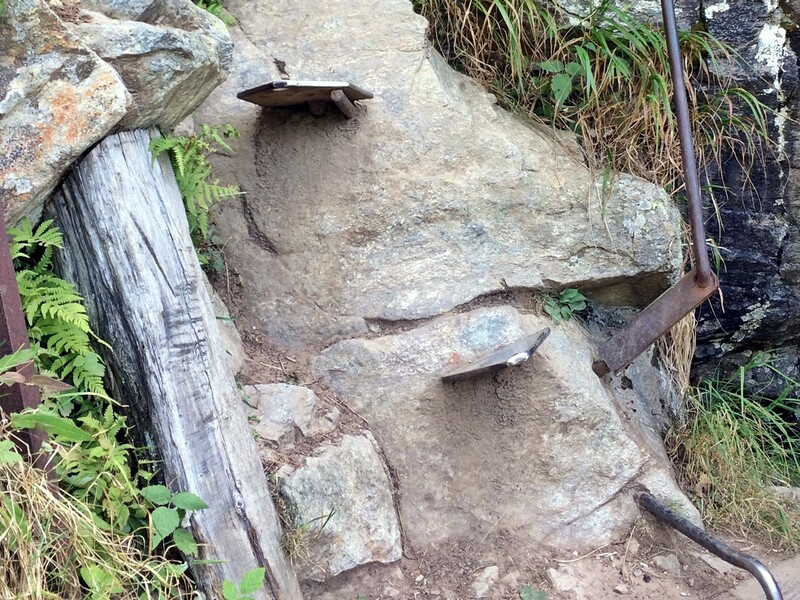 After about a kilometre, there is a small section that takes you down some steep ‘peg’ steps with a handrail – this is the only slightly technical part of the hike. 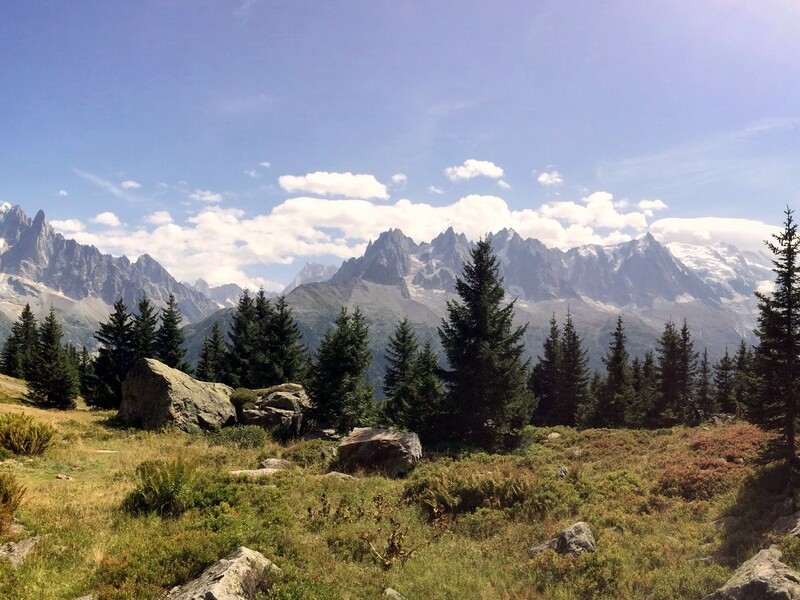 After this the path curves around a wide rock field, giving a full and unobstructed panorama of the Mont Blanc Massif. The path has been skillfully made with the rocks themselves, so it’s not difficult to walk on. There are warning signs in these areas – the rock fields are not places to stop as occasionally there can be rockfall. From here, the Grand Balcon Sud trail hugs the side of a series of dramatic ravines, dipping in and out of trees and then zig-zagging down to arrive at Le Charlanon.  This is a lush and magical high flower meadow full of colossal boulders, many are flat-topped, so this is an ideal picnic spot, especially as it’s about half-way. The Grand Balcon Sud hike continues up from here around more wooded ravines, spilling out eventually into a wide, curved amphitheatre surrounding ski lifts at the base. The rest of the hike goes through and above what in winter are ski runs. Somehow these ski lifts don’t dampen the beauty of this hike. 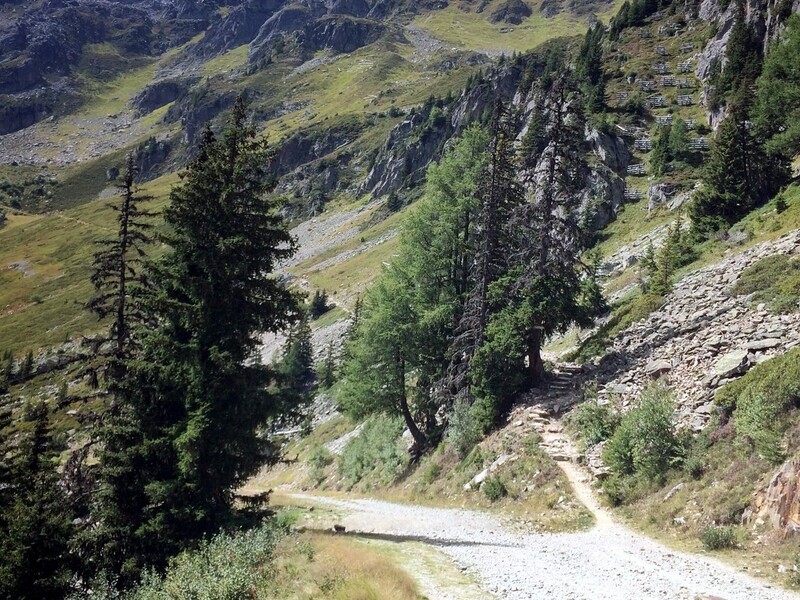 The path is well signed but be sure to stay on the path as you head towards Mont Blanc. Don’t follow paths into the dip containing the ski lifts, as it’s a long and not very nice uphill slog to get out. Follow the signs towards PlanPraz and cross the wide ski track, keeping to the winding and pretty path through the junipers and rhododendrons. There is some uphill on a ski track near the end. Finally, you curve around to the left and down to the lift station as the colossal snowy summit and glaciers of Mont Blanc rear up directly in front of you. 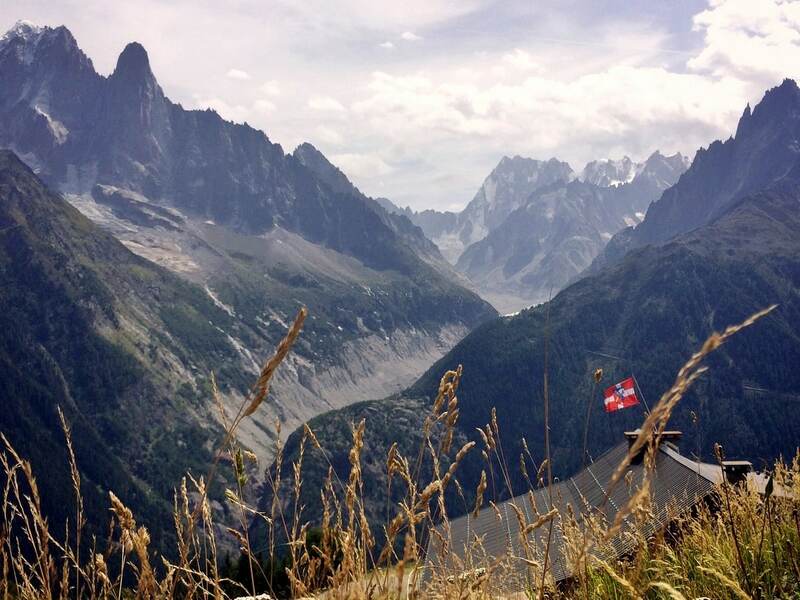 Usually there are paragliders taking off in the launch area here, and it’s wonderful to stop and have a well-deserved rest as you watch the colourful wings soaring in front of Mont Blanc. We love La Bergerie de Plan-Praz for a wonderful meal after a great days walk. It’s always good to start early, but for this particular walk it can be really vital. The Flégère lift can be a real bottleneck at busy times. During August and other holiday weekends, try to be there well before 9 am to avoid queuing. If you get to Plan-Praz in good time, it is worth taking the Brévent gondola to the top station. Actually, we’d almost say this is a must-do. The views from the top are really astonishing and there is an excellent restaurant, Le Panoramic Mont Blanc. It’s not cheap, but the food is good and the setting matchless! 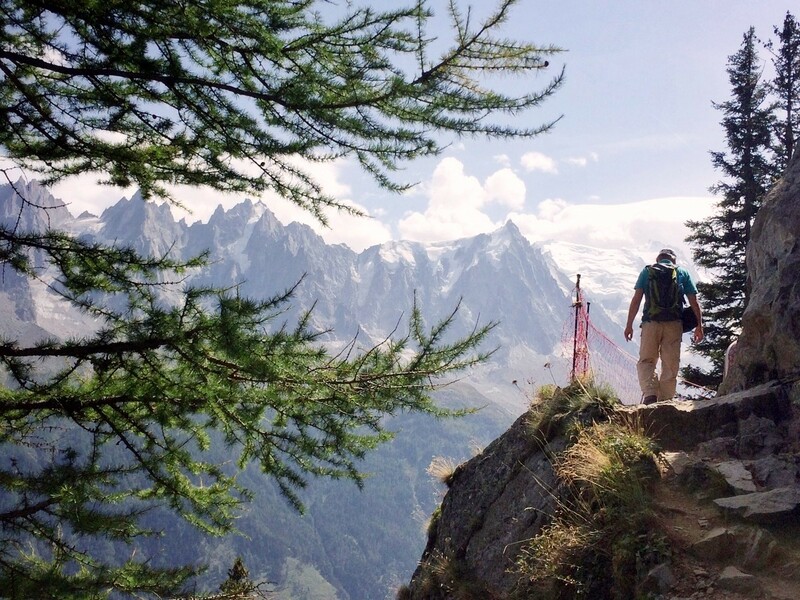 We don’t recommend walking to the top of Brévent, the trail is steep and rather bleak. The cable car is much better. Take plenty of water on this walk. Hiking the Grand Balcon Sud means you are in the sun all day, and it can get very hot. In early season snow can linger in some areas. It is rarely a problem on this walk but it’s always a good idea to check the path is clear by asking at the lift if you are in early season (before July). The lifts are usually open at the end October for half term weekend.